You may be like Ellen and wonder if there are alternative methods to treat lumber so it’s not so tasty to bothersome insects and wood-destroying fungi. I’ve got good news for you. A very safe process does exist and it’s rapidly being forgotten. What’s that old saying, out of sight out of mind? 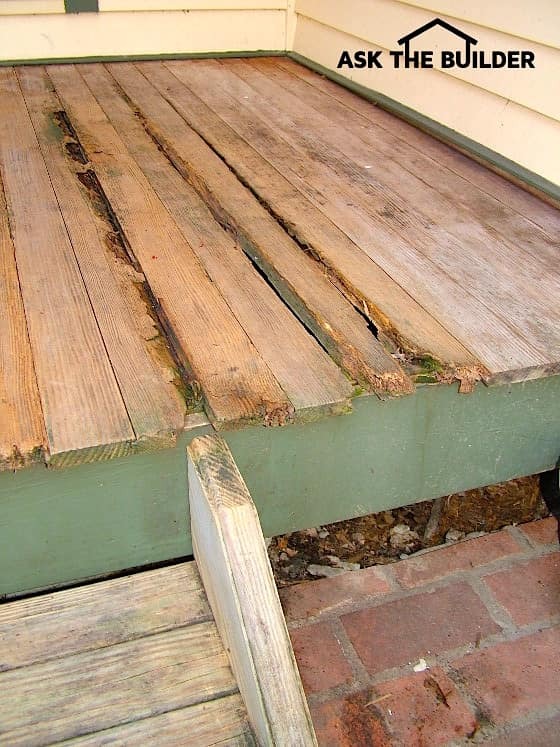 It’s been known for a very long time that borate treatment of wood does an amazing job of preventing wood rot. Insects find wood that contains borates about as tasty as you find 100 percent cocoa. Yuck! The borate powder dissolves easily in water. You simply soak the lumber in the borate solution. Most people just build a trough using 6-mil plastic sheeting. The different borate chemicals come with instructions telling you how to mix the powder with water and how long to soak the lumber. If the lumber has painted ends as used to be the standard, you may want to cut off a thin wafer to expose fresh unpainted end grain. It’s important to realize that the cellular structure of trees and lumber is much like very long drinking straws that are bunched next to one another running up the entire tree. The borate chemicals are drawn far up into the lumber through the end grain. Two soaking treatments are better than one in almost all cases. The wood needs to be stacked in the shade with thin strips of wood between the layers so it can dry. Once dry, you can paint the lumber or stain it on all sides and edges before it’s installed. The borate treatment has a significant drawback. The borates can be leached from the lumber if you leave it outdoors. It’s an excellent treatment for lumber that’s going to be used to build a home covered with a roof and any lumber that won’t get wet as would a deck or other outdoor structure. I’d highly recommend this process for all lumber that’s used to frame a floor above a crawlspace. It’s also a great idea to do this for large pieces of solid wood that are going to be used to create beams that might be used in crawlspaces. I’ve been happily married for just over forty-four years. There’s more than one reason for that and one of them happens to be the art of listening. Don’t be like Stuart and dig in so deep you can’t see the wisdom of another solution. It turns out building a shed or any other building on a slab that’s larger than the outer walls of the structure is a very bad idea. Oh, I’m sure you can make all sorts of arguments about amazing caulks that would stop leaks, slanting the exposed concrete so it drains, and other flimsy debate points. The art of keeping water out of buildings is ancient. My guess is builders thousands of years ago looked at how animals stayed dry. There’s a reason the feathers of birds overlap in a certain way. Your roof shingles overlap one another to shed water. Clapboard siding overlaps one on top of another to do the same. The first piece of siding material on your shed should overlap the outer edge of the concrete slab so no water leaks under the wall.